and many Slocan and area residents. Donate to W.E. 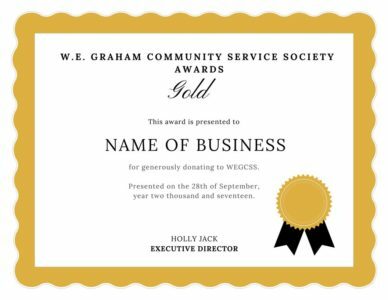 Graham Community Service Society and receive a charitable tax receipt and a award demonstrating your commitment to our community. Platinum: Donations $10,000 or Greater.